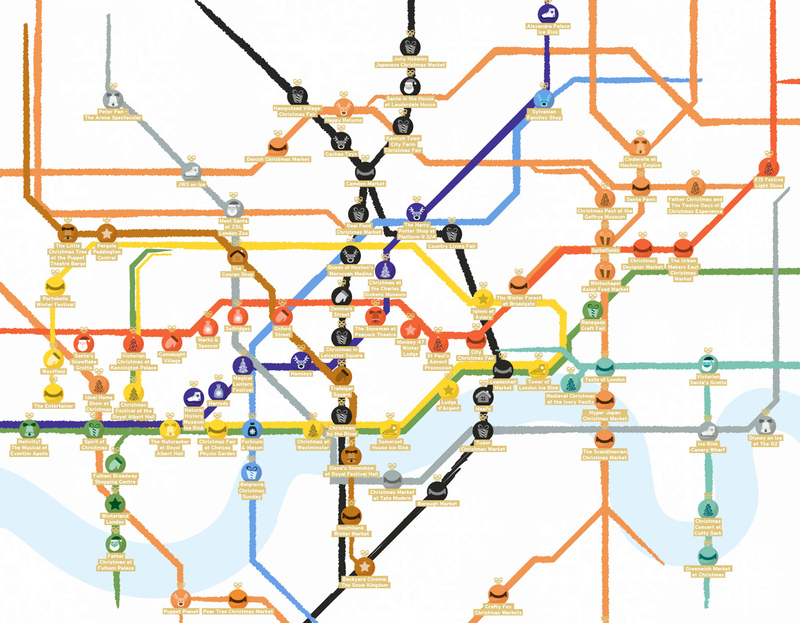 The poor tube map gets reused for all sorts of different kinds of things (including a similar 2016 Christmas map) but the colours and lines are such an important identity for how London works, that it’s a natural way to present geographic information like this. 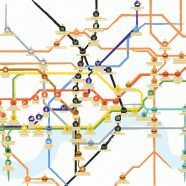 And while an official Christmas-edition tube map would be amazing, this is certainly the next best thing. The map was commissioned by Clarendon and created by Digitaloft.